On the special Promise Day, promise your beloved with all your heart to be always with her till the life ended. 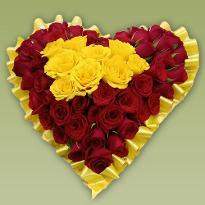 Take your love to the new heights by expressing your affection in a lovely manner. 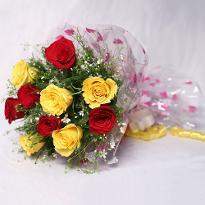 Buy a bunch of flowers and present it to her as flowers never fail to put magic into your relations. 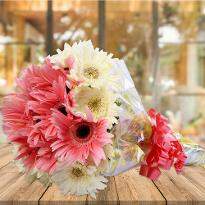 So, take a vow to be with her in good & bad times of life and give a beautiful surprise with the online Promise Day flowers delivery at your desired place. 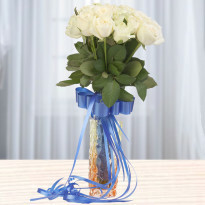 Check out our exclusive Promise Day flowers category and order it online with ease of the click. 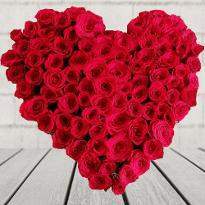 Promise Day is one of the most beautiful days of Valentine’s week in the heart of couples and lovers. 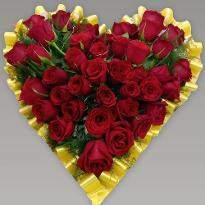 This day is celebrated on February 11 every year around the world. The day is celebrated to keep up your love for the lifetime by promising your lover on the special event of Promise Day. The Promise Day is celebrated for giving a sincere promise to your lover like you’ll love & care for them for the rest of their life. 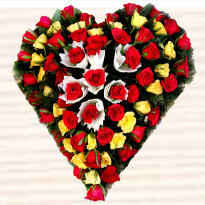 All lovebirds can enjoy the Promise Day by gifting the bunch of flowers to their partner. 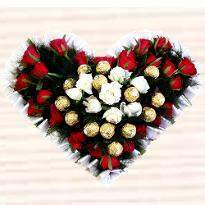 If you want to impress your lover on upcoming Promise Day, then you can choose the best hand-picked flowers online from Winni and put a big smile on the face of your darling. 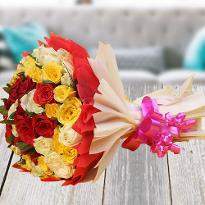 Why go through all the trouble to browse different shops and waste so much time by visiting places when you can order & send the Promise Day flowers online with few clicks through Winni. 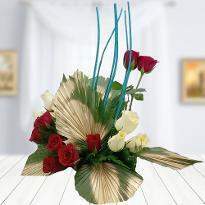 Winni has all kind of flowers from Roses to lilies and from Gerberas to Carnations, Winni has it all. 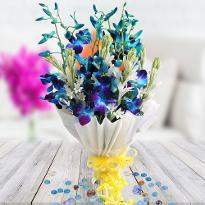 With so many varieties of elegant flowers to choose, you can never go wrong with Winni. 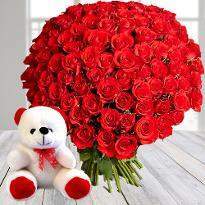 You can now even send Promise Day flowers to India even if you are staying abroad and can’t reach the love of your life on this very important day. 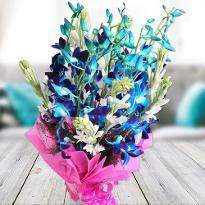 With Winni, you can send the perfect flowers at your desired time slot by choosing early morning & midnight delivery. 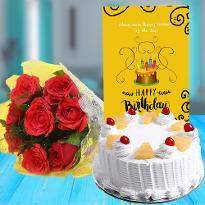 Winni also offers you fixed-time and express delivery options so that you can get these floral gifts delivered at the time when you want. We all know that flowers are the best way to put a smile to the face of anyone, So, browse the Promise Day Flowers category and take a look at all the different arrangements of flowers available online only at Winni. 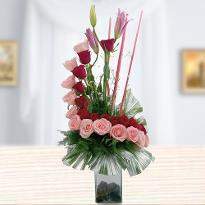 Winni offers a wide variety of flowers specially curated for this day. 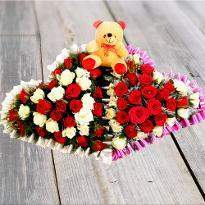 If you are about to celebrate Promise Day for the first time with your lover, then you can select the heart shape arrangement and get it delivered at the doorstep of your beloved one on the same day. Winni brings a plethora of delivery options to give you a nice shopping experience. 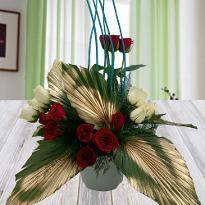 Enjoy the great deals & exciting offers using the midnight online Promise Day flowers delivery. 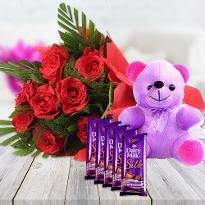 Surprise your beloved one on this Promise Day by creating some beautiful memories along with the online Promise Day flowers delivery.